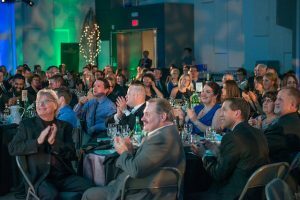 UFV and Prospera Credit Union’s values match so well that Prospera has signed on as the presenting sponsor for UFV’s second annual Town & Gown Fundraising Dinner. This event, being held November 9 on the UFV Abbotsford campus, raises funds for student awards. UFV and Prospera Credit Union are both are community-based institutions that draw their strengths from community support. 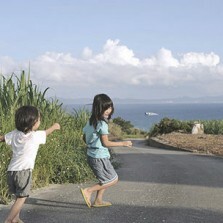 Both also play a major role in community development within the Fraser Valley. 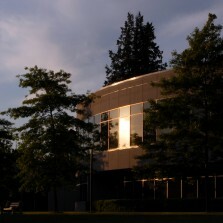 The Town & Gown event will be held on November 9 on the UFV Abbotsford campus. “Earlier this year, I was proud and privileged to join the board of governors for the University of the Fraser Valley,” said Shawn Good, President and CEO of Prospera Credit Union. 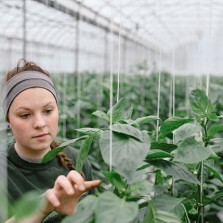 “Just like the university, Prospera has strong roots in the Fraser Valley and we’re excited to support an educational institution whose graduates are actively making a difference in our local communities every day, whether they are working in agriculture, education, health care, business, or other sectors. 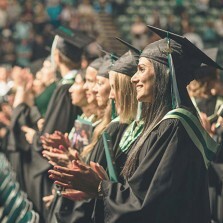 You can find thousands of UFV graduates working all over the Fraser Valley, and more than three dozen have established their careers at Prospera. Jody Martin is one of them. A 2015 graduate of UFV’s Bachelor of Business Administration program, she completed several paid work terms at Prospera as part of the UFV Co-op Ed program, which fast-tracked her career in human resources. She is now a fulltime human resources officer at Prospera. “What started as a co-op work term has now turned in to a full-time, permanent position with an excellent organization,” she says. More recently, current UFV physics and math student Josh Friesen completed a summer co-op work term as a marketing analyst at Prospera, which hires a couple of co-op students annually from UFV. One Prospera employee with a special connection to UFV is Stacey Irwin, Senior Manager of Digital Banking. A 1997 graduate from the BBA program, she has served as UFV Alumni Association chair and as a member of the UFV board of governors. She has worked at Prospera since 2001. 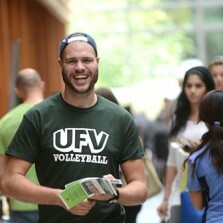 Prospera’s support of UFV stretches beyond the Town & Gown sponsorship and hiring alumni and current students. Prospera has been a UFV supporter since 2001, contributing cash donations and/or sponsorship to several UFV programs, events and projects. Some of the ways Prospera has supported UFV include: presenting Cinema under the Stars at UFV Abbostford campus with attendee donations going to UFV Student Life; giving to the Library Gateway to Learning campaign in 2002; being a regional sponsor of the Co-ops in Schools program; sponsoring UFV Career Day; sponsoring a graduate seminar about global leadership; and providing mentorship support for UFV students. “This kind of support from a financial institution with such deep roots in our community does a lot to support students who will go on to become community leaders,” says David Leis, Director of Development at UFV.